﻿ Lake Alma State Park - Ohio. Find It Here. In the midst of some of Ohio's most rugged, scenic territory lies 292-acre Lake Alma State Park. 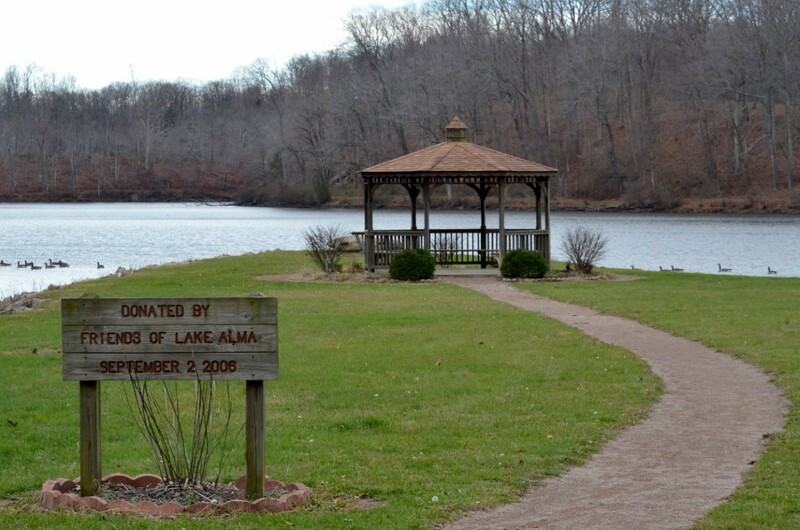 A quiet 60-acre lake and a gentle creek meandering through a wooded valley provide a restful setting for park visitors.Lake Alma lies nestled in the heart of the unglaciated hill country of Ohio. These hills are part of the Appalachian Plateau. Most of the rock layers are sandstones, shales and coals with an occasional limestone bed. Much time has passed since the region was first uplifted from the ancient sea that once covered Ohio--allowing for the development of many different habitats. Today, this region supports more than seventy percent of Ohio's remaining woodlands on only one-third of the state's land. Lake Alma contains a fine example of the second growth forest now covering this part of the state. In this area, the forest is mainly of a mixed oak composition.